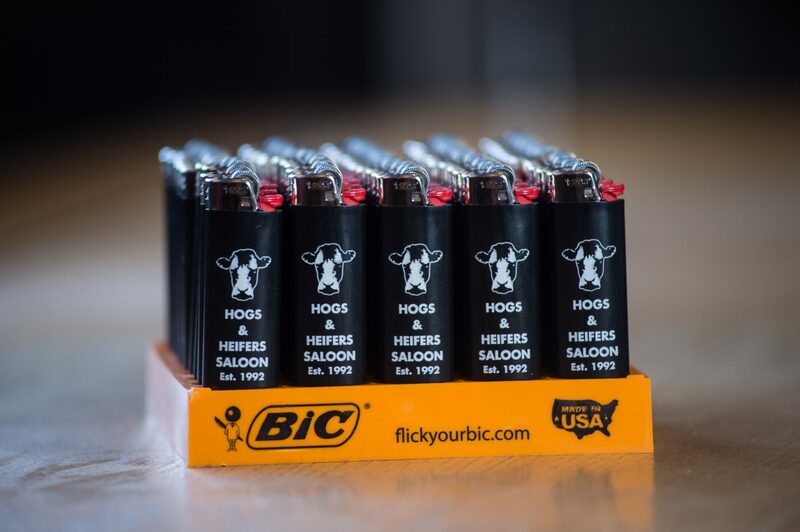 The BIC® Lighter is recognized as a worldwide leader in producing a safe, reliable flame for millions of consumers every day. 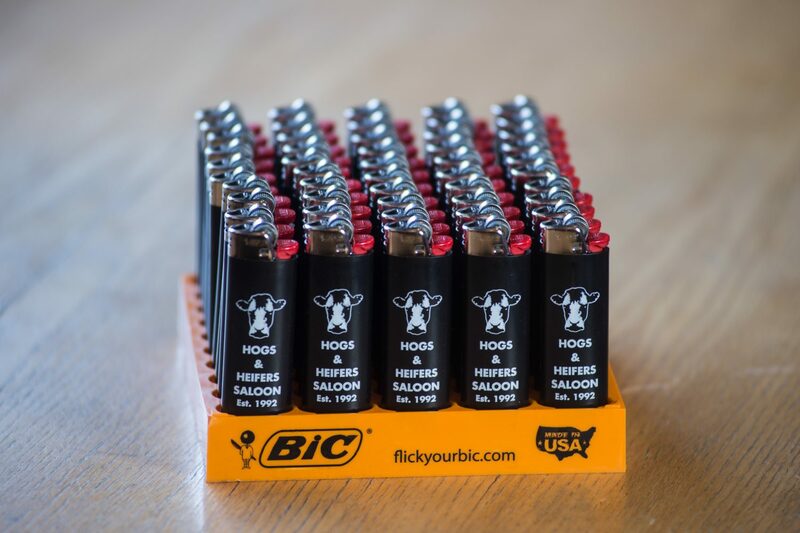 In more than 160 countries around the world, including Hogs Nation, BIC has sold more than 15 billion lighters... that’s a lot of weed a cigarettes folks. 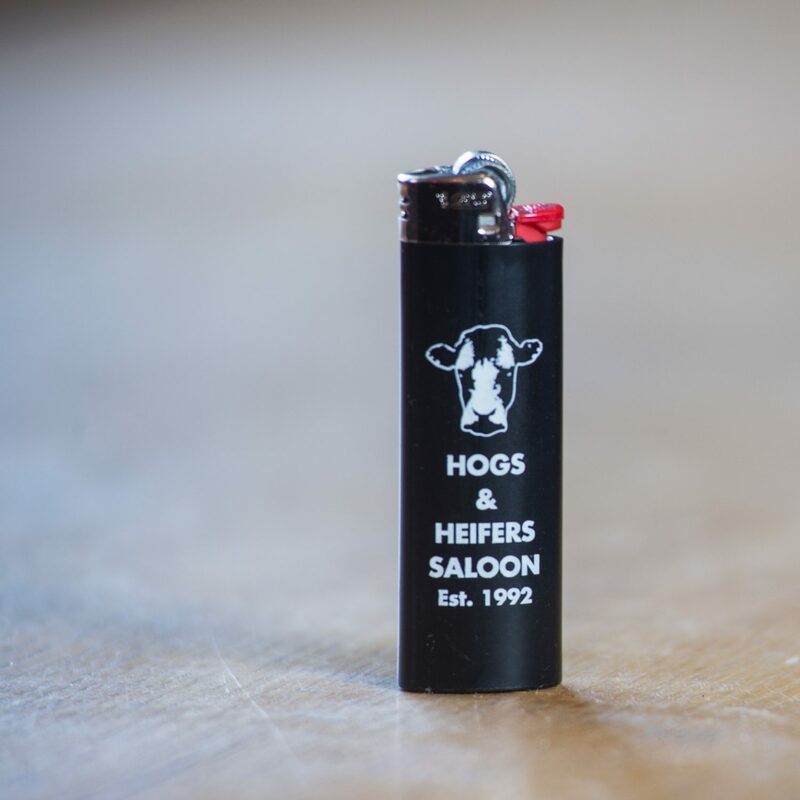 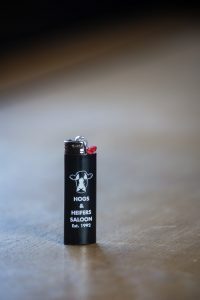 This specific lighter happens to come in black with the words Hogs & Heifers Saloon printed on it.